Dr. Kaul is board certified by the American College of Surgeons. The primary focus of his practice is advanced abdominal laparoscopic surgery with focus in foregut and bariatric surgery. He was awarded his MBBS degree from L.L.R.M. Medical College, Meerut, India. He completed residencies at Saint Barnabas Medical Center, Livingston, NJ and Bronx-Lebanon Hospital Center, NY. He is a Fellow of the Royal College of Surgeons, Edinburgh, U.K. and completed a fellowship in minimal access surgery at the Institute for Minimally Invasive Surgery, NY. He is professor of surgery at New York Medical College, director of bariatric surgery at Greenwich Hospital, CT and director of minimally invasive surgery at Westchester Medical Center. An internationally renowned surgeon, he takes on challenging and revisional cases and is on the faculty at many training courses for other surgeons. He has been named in Castle Connolly’s Best Doctors list multiple times. 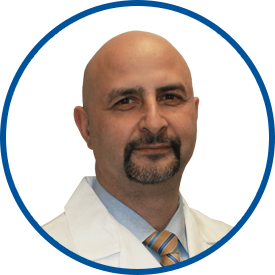 Dr. Kaul joined Westmed Medical Group in April 2015.